Mark Wood’s IPL experience with Chennai Super Kings has helped him make his choices – but where will he go next? You may remember that earlier in the year, we wrote about the weighted, weighty decisions faced by Mark Wood this season. Wood’s long format career has been in the balance of late. An IPL contract seemed likely to keep him out of all early season first-class cricket and a consequence of that would have been reduced likelihood of playing any Test matches. Fortunately, he bowled a load of toss in India and on such small things do career paths hinge. Wood took 0-49 from four overs in the opening match of this season’s IPL. He was the most expensive bowler on either side. He hasn’t been asked to play again. The Chennai Super Kings people said yes. In the short-term, Wood will attempt to secure a Test spot by playing precisely one first-class match for Durham ahead of the Pakistan series. Technically, he is “the man in possession” having played England’s most recent five-day match, only it never really seems to work like that for bowlers. Also, he didn’t make an unarguable case in his most recent Test outing and there’s also a case for saying that England would be better off trying to identify a short-pitched specialist as the third seamer. Whether he plays the Pakistan Tests or not, that single County Championship match is the only one Wood is likely to be available to play until England’s short format commitments come to a close on July 17. Durham then have just one more Championship match in which he’ll be able to showcase his red ball competence before the India Test series starts. He’ll probably be rested for it. That’s the bulk of Wood’s season. That’s his opportunity to “nail down a Test spot”. Should he fail to achieve that aim – which, given the circumstances, seems entirely possible – he could instead train his hammer on the shortest format and try and nail down an IPL spot. A man who prepared for this Test summer by playing the IPL and who prepared for the IPL by playing a one-off Test match might at some point conclude that he’ll get better results if he narrows his focus. 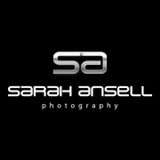 Being a professional cricketer can really get in the way of being a professional cricketer these days. Should England play Chris Woakes or Mark Wood? Chris Woakes is a very good and admirable cricketer. He didn’t have the best of time in the last Ashes but has since bounced back in the shorter formats. If he were to play a Test match, he would not doubt take a bunch of wickets. Nevertheless, England should pretty much always play Mark Wood instead, who may or may not perform as effectively, and quite often not. Now the first thing to say is that we like Chris Woakes very much. We believe he will play plenty of Tests for England and it stands to reason that this also means that we believe he will take many Test wickets and consequently bring us a great deal of Test joy (which is a very real and important brand of joy). However, if by the magic of time travel he was the exact same age as her, we’d say: “This is evidence of real actual time travel. This is incredible.” But once we’d dealt with the seismic technological development (and really, what else is there to say?) we’d say that on balance, given some of the other historical figures she could have ended up with, Chris Woakes is an adequate and acceptable choice. Although actually, now that we think about it, isn’t Chris Woakes married? Maybe we’d be concerned about why he was running away from his own time period given that he had a wife and a burgeoning international cricket career back then. That would be a bit suspicious. Anyway, the point is that Chris Woakes is an agreeable-to-likeable man. With hindsight the whole ‘would you be happy for him to marry your daughter’ thought experiment was a bit of a misstep on our part given their respective ages. So what does Chris Woakes actually do? Let’s take a look at England’s bowlers to see what each of them offers and let’s do it according to Steve Harmison’s Theory of Units because that is something we fundamentally agree with. Swing bowling: Jimmy Anderson is pretty much the best swing bowler there’s ever been. Tall bowling: Current form notwithstanding, Stuart Broad has been a very good tall bowler. Reverse swing bowling: Wiser men than us might disagree, but from what we’ve seen we feel like Ben Stokes has a legitimate case to be considered England’s best reverse swing bowler. Certainly, most of the occasions when he ‘makes things happen‘ seem to be occasions when the ball is also reverse swinging for him. Spin bowling: Moeen Ali is the man who makes the ball bounce a bit funny by spinning it with his fingers. So what does Chris Woakes add to the palette of things? Does he do anything different to the people listed above? Does he do any of the things listed above better than the people listed above? 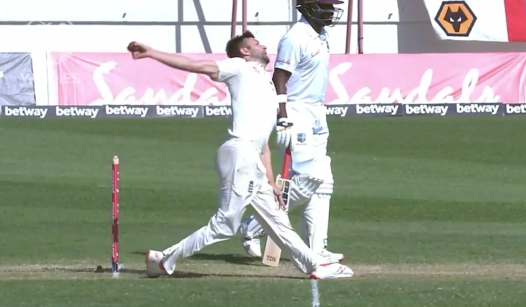 Now, we can’t help but concede that Mark Wood is not always a fast bowler. Sometimes – perhaps even a lot of the time – he is just as fast-medium as everyone else. In fact it is not all that uncommon for him to bowl less quickly than Chris Woakes, who we would generally categorise as ‘brisk’. But Mark Wood can bowl quickly. This is a thing that he is capable of doing and on the occasions that he manages it, he adds an extra thing to the bowling attack, which improves as a consequence. 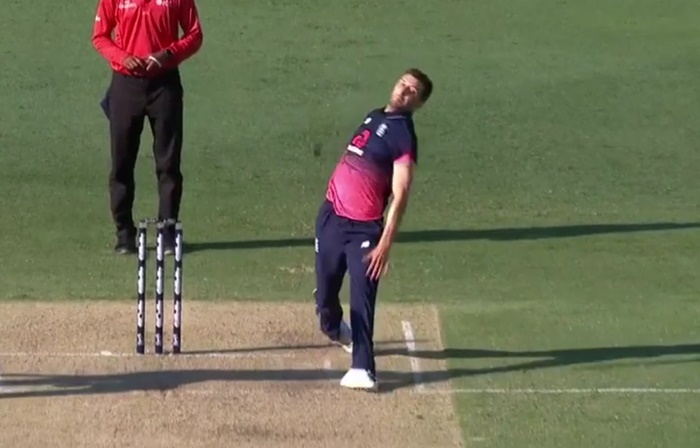 When Mark Wood bowls quickly, he is electrifying. Chris Woakes is not electrifying. This is not meant as criticism of Chris Woakes because the truth is that very few players are ever electrifying. Being electrifying is a rare and valuable thing and that is why whenever you have a choice between a player who is possibly electrifying and one who definitely is not electrifying, you should always pick the possibly electrifying player even if there’s a more than reasonable chance that he will actually not perform as well as the other guy. Cricket is meant to be fun and those rare moments when you think to yourself ‘something is happening’ are the most fun of all. Andrew Flintoff’s career record is famously nondescript, but he will always retain a warm place in our heart for all those occasions when he made us feel like something was happening. There is also the small matter of retaining Mark Wood as a Test cricketer. Not so long ago we wrote at length about how the two Tests against New Zealand in 2018 potentially represented the final chance for him to have a career in the longest and most memorable format of the game. Chris Woakes has been in the England Test team enough that we’re pretty confident he will be picked again. Wood, on the other hand, seems to exist in a constant state of maybe having already played his last Test without anyone actually realising it. Wood should be picked and then hopefully something magical will happen and we can all stop worrying about the game fracturing into pieces for a day or two. The big news from England’s warm-up piss-take of a match against a New Zealand XI is that they’re thinking of having Retired Hurt open the bowling. Accounting for three batsmen, he was England’s most successful bowler after Jimmy Anderson, who took 4-56. Root deployed just the nine bowlers and even fewer of them actually opened. 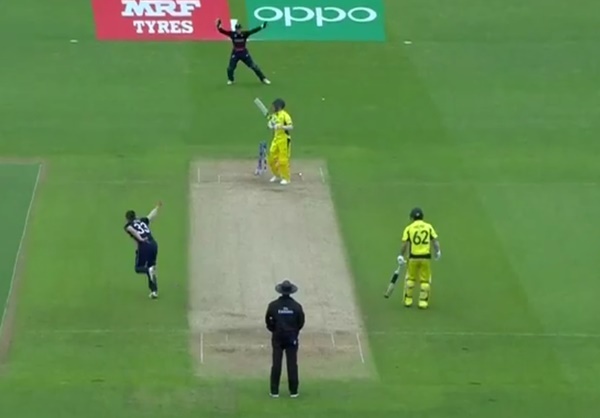 Mark Wood got three overs with the brand new ball and frankly, England may as well persist in doing that. 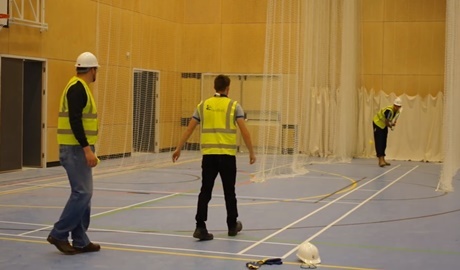 We’re aware that opening the bowling is meant to be some huge great deal and that making Stuart Broad come on first-change would put his mental health at grave risk – but if his replacement’s only going to bowl a three-over spell, as Wood would, it isn’t necessarily a monumental disadvantage in any real meaningful sense. If you haven’t already seen it, our latest piece for Wisden is about Mark Wood and the weighted, weighty decisions faced by current England cricketers. 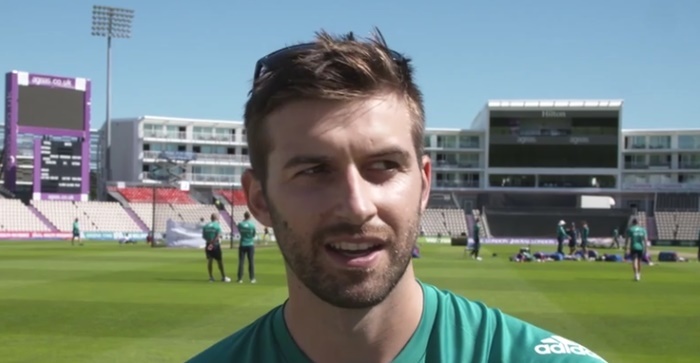 The crux of it is this: if Mark Wood doesn’t (a) fluke his way into the Test side for the two Tests against New Zealand and (b) perform well in them, then his long format career is probably over before it’s really begun. Responses to the piece on Twitter centred on how Wood had struggled to prove his fitness for four- and five-day cricket, so a limited overs career probably makes a lot of sense. That is absolutely 100 per cent not the point we are making. That’s our way of saying they were Wooded. We wrote about the benefits of having Adil Rashid in your side a couple of days ago. Mark Wood offers something similar. Remember how the middle over used to be? It was like the batsmen saw everything in high-definition and everything moved smoothly and predictably. Wood and Rashid make it more like you’re watching a shonky internet stream. Everything’s jerky and irritating and every time you settle, there’s another bout of buffering. Eventually you lose your rag and clog a full toss to cover. They weren’t the only ones to successfully derail an innings either. Afghanistan’s Rashid Khan thought he’d take wickets with his first two balls and then just kind of carried on from there. The video this image is taken from is the very definition of ‘intensity’. Brace yourselves for some electrifying cricket before clicking the link. 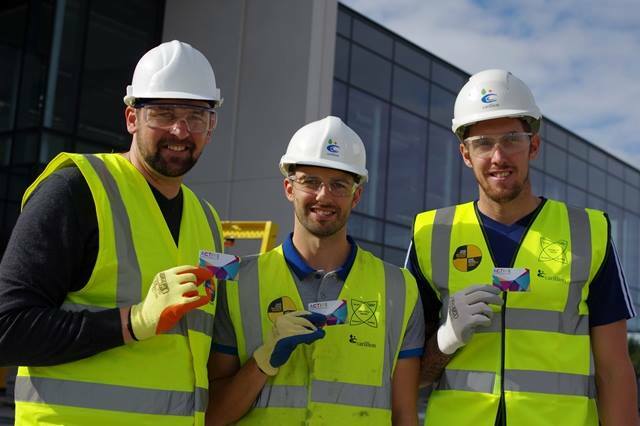 Here’s a picture of them brandishing their membership cards whilst wearing their normal clothes. They have some damn catchy slogans up in Ashington. 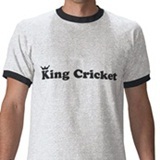 Other than a fast bowler, feisty lower order batsman and a medieval knight of the outfield. These are, of course, major reasons why Mark Wood is currently our favourite cricketer, but it’s not just that. He’s also unfamiliar, so there’s a wonderful uncertainty about what he might yet be. It’s not what he’s done, it’s what might yet happen. It’s not the wickets he’s taken; it’s the ones he’s still to take. It’s not that he has an imaginary horse, it’s that he’s the kind of person who has an imaginary horse. We didn’t know he smote straight sixes until today, for example. That was a nice revelation. While he’s still relatively new, these sorts of things will slowly reveal themselves to us and that voyage of discovery is at least half of the appeal. In a world of identikit cricketers, the tee-totaller who sometimes whinnies at the start of a bowling spell is a gift – not least because he proves that having an imaginary horse is no barrier to success. History tells us that there have been those who would try to expunge such deviant quirks from humanity in pursuit of a ‘pure’ race of conformists. These people are known as business executives and anything that confounds their beliefs we are fully behind. Australia require 411 to win. English (and Welsh) men and women – bring out your pessimism. Is Alastair Cook a plodder? How long does it take to diagnose ploditis?